For the second time around, UNTV once more spearheaded a UNTV Cup, a basketball league wherein the members of public affairs and celebrity actors compete. To be a prime catalyst of a public service advocacy that will inspire and encourage public servants to join hands in helping the underprivileged members of our society through sports. The UNTV Cup will provide an opportunity for public servants to play an active part for a good cause that will help the underprivileged of the society while promoting unity, camaraderie, and physical fitness among public servants. UNTV Cup is a basketball competition among various branches of the government culminating in a final game to determine the champion. This will not only promote camaraderie, sportsmanship and healthy competition among the various branches of the government but will also be able to bring to their attention the plight of the underprivileged. Each team will submit their chosen charitable institution as their beneficiary for this basketball tournament. The champion will be given the privilege to have a One Million Peso (Php1,000,000) grant to their beneficiary. While the runner-up will receive Five Hundred Thousand Pesos (Php500,000), the third placer Two Hundred Fifty Thousand Pesos (Php250,000) and the fourth placer One Hundred Fifty Thousand Pesos (Php150,000) for their chosen beneficiaries. The entire league is broadcasted LIVE every Sunday 2:30PM at UNTV, and simulcast via live streaming at www.untvweb.com. The four-month tournament held on its first season successfully began and ended at the jam-packed Smart Araneta Coliseum. 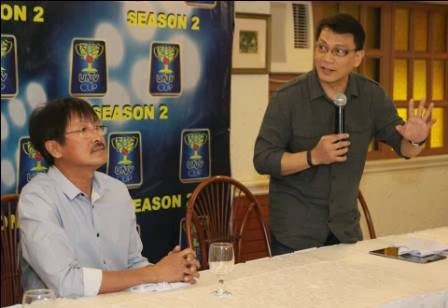 The UNTV Cup Season 2 will officially commence on February 11, 2014 at Smart Araneta. On this season’s league, the teams were given the privilege to get a maximum of two professional basketball (PBA) players for reinforcement, subject to certain qualifications. 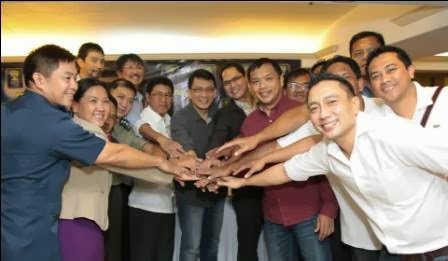 In addition to the participating teams of last season, the success of the advocacy inspired both Malacañan and Senate to join this upcoming season. To further enhance the public service aspect of the league, each game day every Sunday will also be a public service” day for the participating agencies. Prior to the game, each agency will be given a booth at the game venue, where our game audience may seek for the services of each organization.